Ants can be a bothersome occurrence in your Denver yard or inside your property. Some people may experience serious allergic reactions to them, and the ants themselves can get aggressive when their colony is disturbed. 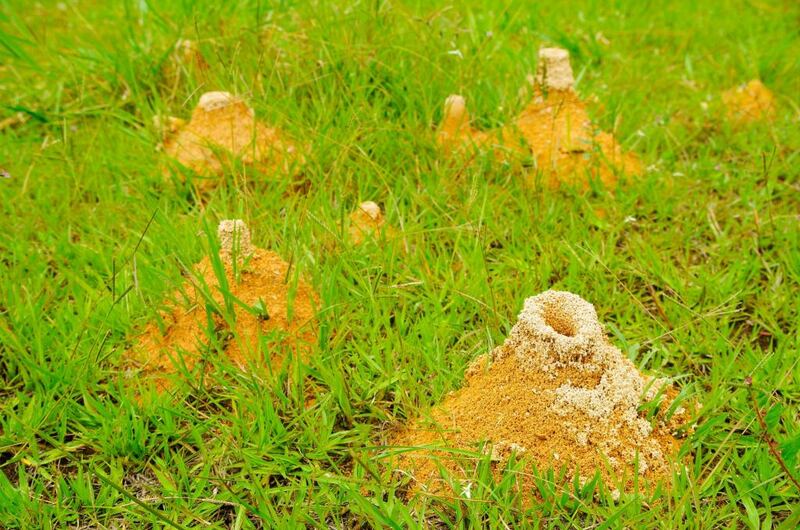 If this is the case at your property, seek Lawn Doctor’s ant control treatments. Our trusted exterminators in Denver are experienced with ant infestations and can provide thorough insect control. Whether you need control service for a small infestation or an entire takeover, we can handle any requirements in Denver. Ants don’t stand a chance against Lawn Doctor’s insect control in Denver. Our 4-Service Yard Armor Program is designed to eliminate current infestations and prevent any further issues. Each season we apply a preventative treatment around your Denver property that keeps insects out all throughout the year. Inside, we use minimal treatments to clear the place and stop future outbreaks. All the products Lawn Doctor uses in Denver are eco-friendly and won’t affect the wellbeing of your family and pets. Lawn Doctor has been taking care of lawns and doing insect control in Denver for over 40 years. Our exterminators are from the in the same communities as you, so we understand the challenges ant removal poses to your property. We got our start in 1972, followed by extending operations to Colorado Springs and Pueblo. Since then, we’ve expanded to provide services from Littleton to Centennial and the entire Great Denver Metro area. It doesn’t matter if you are ready for a full-scale program or just looking to treat a small area, Lawn Doctor is here for whatever ant control services you need in Denver. The exterminators at Lawn Doctor are adept at handling ant removal for both large and small properties. With single-treatment solutions, you can experience the effectiveness before you commit to our year-round protection services. Lawn Doctor will even apply treatments in anticipation of outdoor events to keep pests away from your guests.